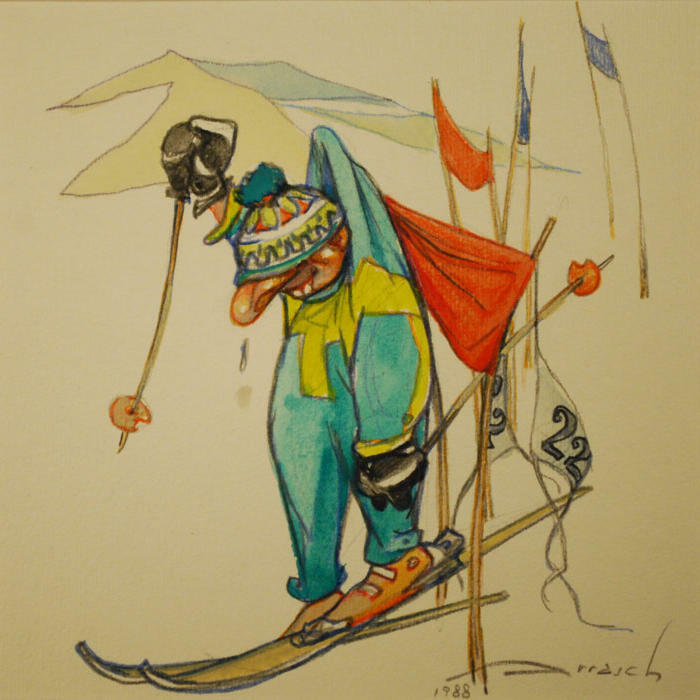 Edi Orrasch was born in 1918 in Trieste, died in October 2015. 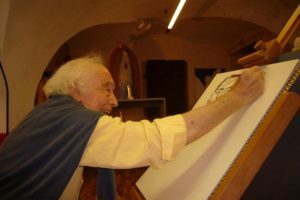 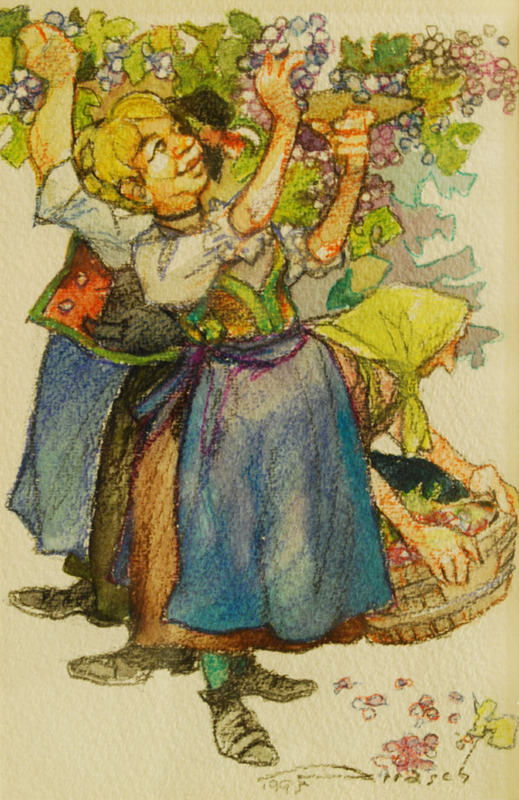 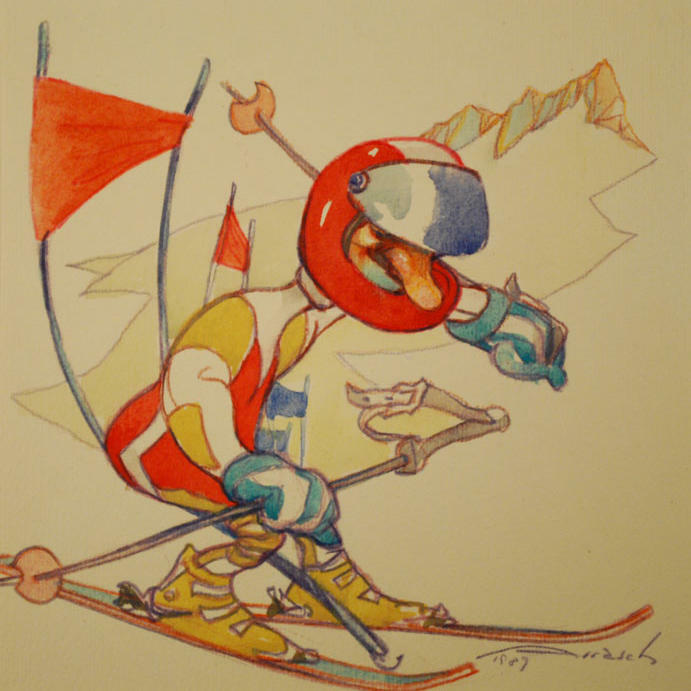 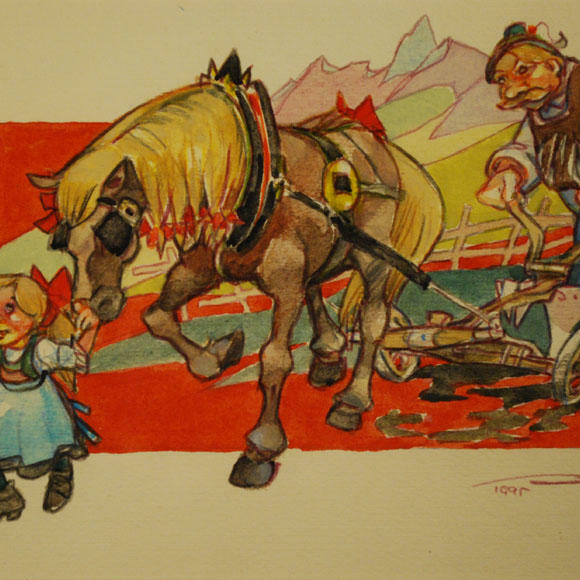 After graduation from the Commercial Technical School of Bozen, he worked as a caricaturist for various newspapers of South Tyrol. 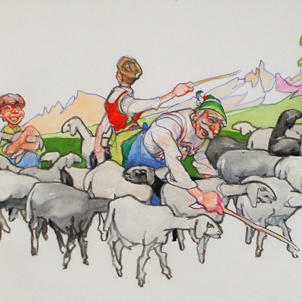 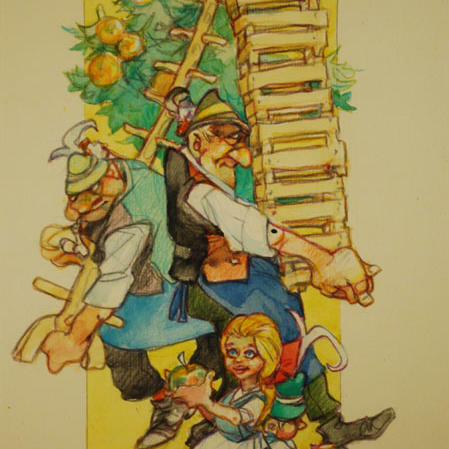 Edi Orrasch is resident in Sterzing and he’s a well-known cartoonist and humorous illustrator. 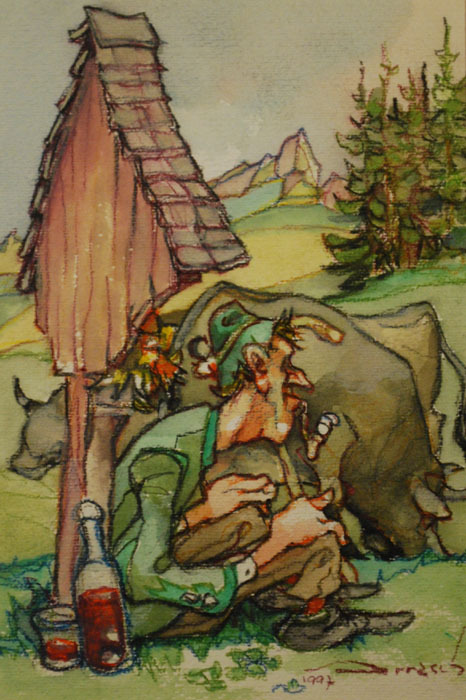 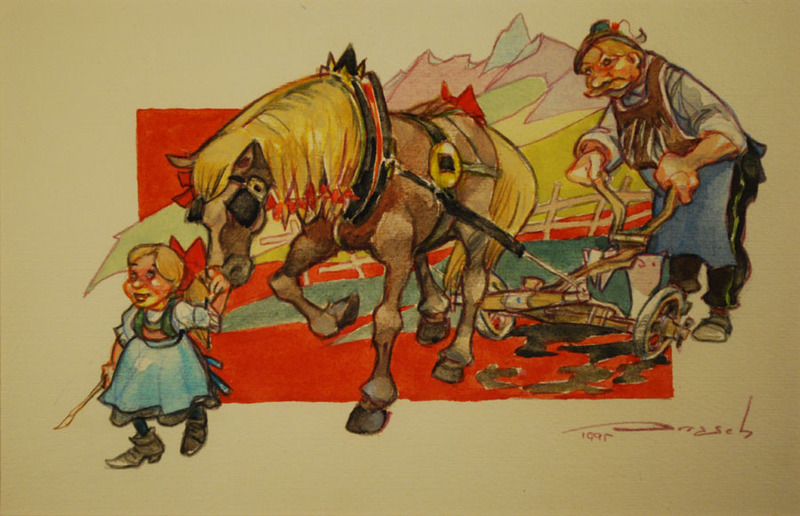 His works are often defined as splendid graphic-artistic reinterpretations of the daily reality and of influential people of the South Tyrolean culture. 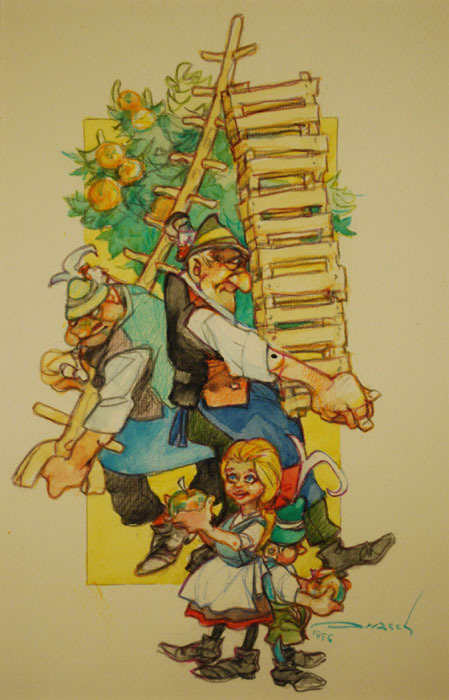 In his drawings, Edi Orrasch discloses a clear preference for traditional-looking characters – figures that often have to face the life in a particular anecdotal ambiance.